Edra dabbed her face off with the hand towel she had. This particular workout felt brutal, and she wasn't done yet. But she had finished her core routine, and would complete her session with light cardio exercise. 10 minutes on the holo-treadmill would be nothing compared to the burn in her midsection from the previous half hour. She'd decided she wanted to be in better shape when her son was born. She was halfway between 30 and 40 and hadn't been expecting to have anymore children. Of course others had kids at an older age than she was, but her body was not the same as it had been when the girls were born. She wanted to minimize what could go wrong. The scene she chose this time was a sunrise beach. A wide swath of sand hard packed, which was a little easier on her legs than soft sand. A soft light spread over the dunes on her right side, and the water rolled in from her left. Only the larger waves made it to her feet. As she started at a slow jog, her mind turned to their upcoming shore leave on Earth. To say she was excited was an understatement. She would finally have both of her girls under one roof, her entire family under one roof. The days couldn't go by fast enough for her. The Merc would get resupplied while in dock. Some of the crew would stay aboard to accept the supplies, and to help with any upgrades she was due for. The biggest change would be retiring the Osceola, and getting a new Danube class runabout in her place, the Resurrection. The new shuttle would be outfitted with some special abilities suited to their mission, but she had yet to get the full rundown of her features. She'd have to get Henry to fill her in on that. The treadmill upped her speed slightly as the sun peaked over light clouds that lined the horizon. She was glad for the break, for more reasons than getting Karina. The crew needed the break after a few harrowing missions. She knew many of them were glad for the chance to rest. 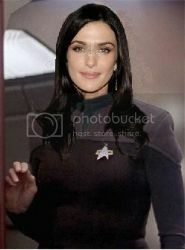 Despite the craziness of people disappearing, she felt like the Bridge Crew was getting used to the personnel changes. There had been an aire of unease when Stacey had left. A change in command was always an unsure thing, and she had been their captain for a long time. Most on board hadn't known the other captains before her. So, she understood how some of the crew could be uncertain where a new captain would take them. In her new role, she'd talked to department heads, and tried to reassure those who were uncertain. For the most part, it seemed to have worked. As officers became more comfortable in their new position, operations moved more smoothly. She counted it as smooth of a transition as one could hope for. Her pace slowed as she approached the end of her workout. Up next was a shower to wash away the sweaty smell. As she left the gym, she thought, maybe a nice quiet dinner, just her and Henry. She'd have to ask Banks if she could help make that happen.